S&D’s patent practice brings a highly experienced team of patent professionals to bear on the complexities and nuances of patent law, from securing the protection of ideas to the commercialization and enforcement of patents. We represent entrepreneurial individuals and companies, venture-backed startups, as well as established technology-based companies. We help clients by employing strategies to develop strong patent portfolios that support their business objectives and ensure a strong position in the marketplace. We obtain, license and litigate patents across numerous technologies, spanning the gamut from electrical, software, business methods, biological and mechanical, to chemical innovations, including those that combine multiple technologies. We counsel clients on specific matters, including from the initial steps toward obtaining patent protection, to writing and prosecuting patent applications, to allowance in the U.S. and throughout the world. 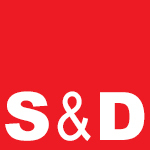 Clients call on S&D to assist in the strategic management of their patent portfolios. Our intellectual property audits include evaluation of intellectual property that can uncover hidden assets; evaluation of patents that the client may wish to assert; evaluation of other products, technologies or methods that could potentially infringe on the client’s patents; and development and negotiation of licenses for asserted patents. We also assist in evaluating patent licenses offered to our clients, comparing the patents to our clients’ products and processes, rendering opinions on infringement, validity and enforceability and, if necessary, negotiating and structuring licenses.